Acoustic panels or bass traps? 5cm or 10cm panel thickness best for me? Both thicknesses work well to reduce reverb, ringing and unwanted reflections in your room. The 10cm panels will do more to even out the bass in the room, but they are not true bass traps and they will not absorb much below 100Hz. For serious bass absorption (50 to 125Hz), check out our Corner or tube Bass Traps. How many acoustic panels I need in my room? Our online website is right place to send as questions for room acoustics analyst and find the right answer for any room. You provide some information about the room dimensions and surfaces, and we send you email with the numbers and specyfication acoustics panels for you. In general, where you place the panels in the room is not critical. A visually pleasant appearance is often the guiding factor in placement. The most important thing is simply to get the total square footage of panels into the room somewhere. No matter where you place them, the panels will soak up the extra sound that is bouncing off every surface in the room. That said, we do have a couple of non-critical guidelines for acoustic panel placement. First, you get more absorption per square foot of panel when the panel is placed in or near a corner. Said another way, you’ll need slightly fewer panels in your room if you place some of them in or near corners. Second, if there is a primary source of sound in the room, such as speakers at one place in the room, it’s a good idea to place panels at first reflection points. These are places where the sound can come from the source, bounce once, and reach the listener. For example, on the side walls of a listening room approximately midway between the listener and the speakers. This is because sound that reaches the listener after traveling an indirect path arrives just a little later than sound that came directly. This means your brain has to sort out multiple copies of the same sound, making things sound less clear and making speech more difficult to understand. Adding panels at the first reflection points reduces the late-arriving sound so your brain can focus on one clear copy of the sound. How mounting panels on the wall and ceiling? Our panels come with our professional installation kit for neat and secure installation on drywall, wood, or concrete walls. You can mount your panels with our Acoustic Cloud Installation Hardware. Or, if this is a DIY job, some customers will drill small pilot holes (from the back through to the front edge of the panel) and put screws through those holes and into the ceiling (preferably into a joist or other solid structure). The edge frame of the panel is solid and will support screws without a problem. Others will use screw eyes and/or screw hooks in the back of the panel and in the ceiling, sometimes with sections of wire to suspend the panels a couple of inches or more below the ceiling. The hooks and eyes can also be hooked together, or held together with small cable ties. The panels weigh about 4 to 8kg each, so there’s not a lot of weight to support. If you are working with a drywall ceiling, be sure to use suitable drywall anchors anywhere you are screwing something to the drywall. Of course, whatever method you choose, use your common sense to make sure the panels are securely attached. I – production, office, service rooms, etc. II – home rooms, entertainment, educational purposes, etc. The basic task in the design of rooms from the first group is to reduce the noise level, both from external and internal sources, in order to improve working conditions and increase speech intelligibility. This is achieved by the appropriate design of anti-noise protection, the shape of the room and the use of sound-absorbing systems. – interiors for recording and playing speech and music. 1. Ensuring a low level of interference – means to properly design the insulation from external interference, as well as to silence the internal sources of noise. 2. 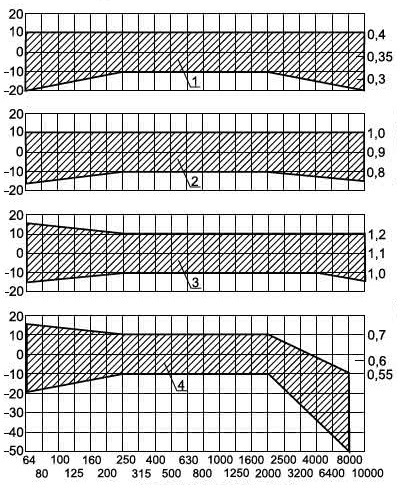 Ensuring proper reverberation conditions – means to properly design and perform acoustic adaptation. 3. Ensuring proper uniformity of the acoustic field – that is, we are again bowing to proper acoustic adaptation. It sounds maybe a bit strange that we are talking about the quality of the room when it is not yet there, but it is important to set some rules at the beginning, according to which our room will be assessed, in order to adopt the appropriate assumptions and carry out the design process . 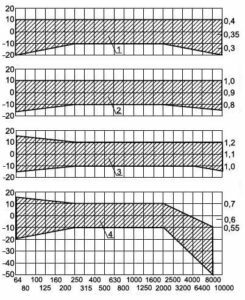 The criteria for assessing acoustic quality can be divided into subjective and objective ones. In the case of the former, we rely on the opinions of listeners, performers and other specialists (smaller or larger) in the field of interior acoustics. Unfortunately, these opinions for one room can be very different, so you can – for example, after appropriate statistical treatment – treat it as an addition to objective criteria. An objective assessment can be made at the design stage – eg on the basis of calculations and computer simulations, or acoustic measurements carried out on scale models – as well as on the basis of measurements made during and after the project implementation. The architect and designer of interior acoustics are primarily interested in the acoustic parameters of the room, which can be used in designing and which have a decisive influence on the acoustic quality, i.e. for a sufficiently low level of sound coming from external interference, intelligibility of the verbal text and musical material, uniformity of the sound system or the lack of an echo. In the case of large concert halls, obtaining good intelligibility usually does not go hand in hand with obtaining high sound qualities, because good intelligibility is obtained with a relatively short reverberation time, while ensuring proper full sound of music requires a longer reverberation time. Hence the necessity to choose the compromise value of the reverberation time. – reflections coming with a delay greater than the critical one. 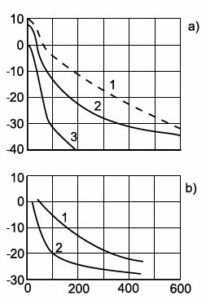 Critical delay is the difference in the time of arrival of the reflected signal in relation to the direct one, which may cause an echo and resulting deterioration in intelligibility. The time delay in the investigation of the first reflection has been the subject of many studies. It was found that the value of the critical time delay between direct and reflected sound depends, among others, on since reverberation, as well as the type of audio signal (speech, music), and for music in addition to its type. In the case of listening to music, the noise causes masking of individual elements of the song, deterioration of its sound, making it difficult or even impossible for the listeners to properly receive musical impressions. Noise also causes nervousness of performers, which is the cause of unjustified increase in the volume of performed music parts, thus disturbing the musical balance of the song.  In studio (recording, radio, television) rooms, in contrast to the rooms intended for direct listening to music, the sound receiver is a microphone. The human ear, I hope, everyone knows, responds less to sounds in the small and large range, and strongly in the medium frequency range – hence the sound pressure level is often expressed in accordance with weighted curve (A or C), more suited to the sensations of human hearing. The microphone, on the other hand, carries approximately the same sounds (depending on its transmission characteristics) in the wide frequency band. Hence, the characteristics of the permissible sound level in studio rooms more restrict the noise in the low frequency band. The shape and volume of the room have a direct impact on the distribution of acoustic energy and room sound. For radio and television studios, the optimal proportions – depending on the volume of the studio – can be read from the diagram in figure 4. It shows that for small studies, with a volume of 80 to 300 m3, the most favorable proportions of dimensions (height x width x debt) are 1: 1.25: 1.6, for medium (from 300 to 800 m3) 1: 1.6: 2.5, and for low (V = 800-3.000 m3) or long (V = 3,000-8,000 m3) the optimal ratio is 1: 1.25: 3.2. Acceptance of tolerance ± 5%, often used in practice, does not give noticeable differences in the dispersion of sound energy. The reverberation time is an acoustic parameter of the interior, which can be designed and obtained with sufficient accuracy. For each room, depending on its volume and application – will it be the room where the majority will be speech (auditorium, lecture and theatrical rooms), or music (chamber, concert and opera halls) and depending on the type of music – you can choose the so-called the optimal range of reverberation time values ​​and its optimal characteristics. Figure 5 shows the dependence of the optimal reverberation time on the type of artistic production and the volume of the room, for the frequency of 512 Hz. Also, the type of music presented is governed by its own laws – classical music (eg Mozart or Bethoven) or contemporary (eg Stravinsky, Penderecki) require slightly different conditions, while others are romantic (eg Brahms). In the first case, the optimal reverberation time in the 500-1.000 Hz band for large concert halls (3,000-1,000,000 m3) is about 1.5 seconds, while romantic music needs more “breath” in the form of a larger reverberation, around 2 seconds. The compromise output, for different types of music, is about 1.7 seconds. For smaller rooms with a volume of 1,000-8,000 m3, and concert halls with a volume of up to 20,000 m3, the optimal reverberation time in the 500-1.000 Hz band (according to Bruckmayer), in packed rooms is shaped as in the adjacent table. In turn, the recommended course of reverberation time characteristics as a function of frequency, depending on the purpose of the room and the type of music, according to various researchers in this subject, is presented in Figure 6. The recommended reverberation time and deviations from this value (percentage and time), frequency function, for studies for speech and spelling registration, studies for recording music, dubbing studios and photo halls, are shown in figure 7. In contrast, for cinema halls the recommended time value is the reverberation for 500 Hz is within the range of 0.9-1.2 s, depending on the room volume.